A new study on how strategies for managing waterbird harvests in Europe can be formulated on the basis of limited data has just been published in the journal Ecological Applications. The study was carried out by waterbird specialists from Aarhus University, the U.S. Geological Survey, the Finnish Wildlife Agency and the Office National de la Chasse et de la Faune Sauvage (French Wildlife and Hunting Agency), who cooperate in the framework of the AEWA European Goose Management Platform (EGMP). Of all wildlife species, waterbirds are among those most heavily harvested and many suffered significant declines in the twentieth century, especially in North America and Europe. Measures taken to stop and reverse the decline in numbers include the Migratory Bird Treaty Act in North America – celebrating its 100th anniversary this year – and the Birds Directive, the European Union’s longest-standing conservation legislation for the protection of all wild bird species naturally occurring in Europe. Yet, in Europe monitoring of the populations of such species would benefit from further strengthening before it can serve its purpose for their adaptive management. Responding to this need, the European Goose Management Platform (EGMP) was established under the auspices of AEWA, with the aim of providing a mechanism for a structured, coordinated and inclusive decision-making process for the sustainable use and management of goose populations in Europe. International treaties such as AEWA are increasingly working towards adaptive management – and often insisting that adaptive management is in place as a pre-condition for ensuring sustainable use of waterbird populations and their favourable conservation status - but developing sound policies is impeded by the lack of demographic data for some species. 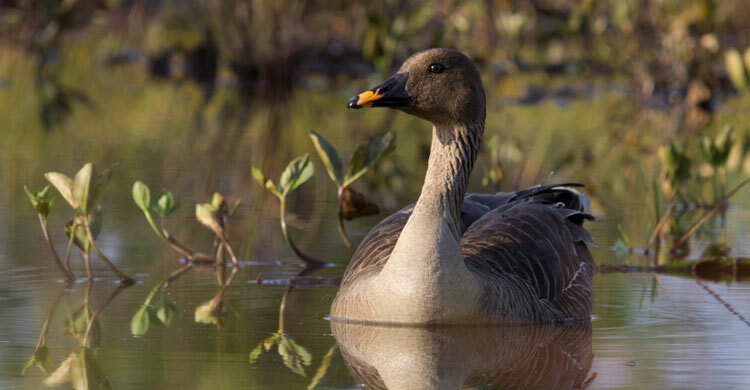 Applying their methods to the Taiga Bean Goose (Anser fabalis fabalis), a species whose population dynamics are not well understood and which is also hunted in Fennoscandia, the researchers found that this species appears to have similar demographic rates to other geese that have been more intensively studied. As different management objectives can lead to very different harvesting strategies, the research team showed how conflicting aims can be reconciled. The applications of this approach can be quite broad for European waterbirds, and can indicate monitoring and research programmes needed to confirm estimates of important demographic parameters, which are needed to derive harvest strategies that will meet managers’ objectives.